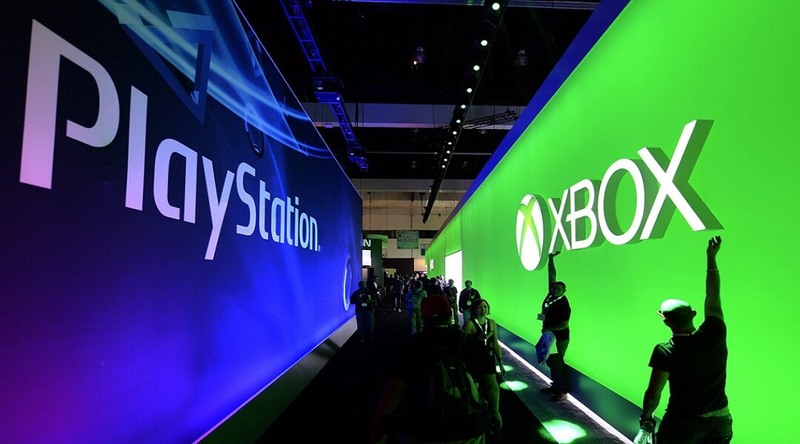 The tech firm Qualcomm predicts that the PS5 and next Xbox will be the last home consoles produced, as the industry moves toward an all-digital, streaming future. For years, analysts and industry insiders have been predicting the end of video game consoles as we know them. But now, thanks to significant advances in video game streaming technology, it seems like a console-less future is more possible than ever before. And according to Cristiano Amon, the president of a tech firm called Qualcomm, the rise of video game streaming will mean that the PlayStation 5 and next Xbox will be the last home video game consoles ever produced. “There’s no question – in our view – that the cloud is the new console,” Amon said. “You are just gonna start playing on any device, on any screen. That is going to be the future of gaming.” The technology Amon is describing is exactly what Google Stadia brings to the table – the ability to stream a high quality video game in 60 frames per second on virtually any device, as long as the user has the Internet connection back it up. What’s significant about Google Stadia is that it removes the barrier of needing powerful hardware to play triple-A gaming experiences. It also doesn’t require a significant Internet connection to work, with Stadia requiring just 25mbps to function. This is all in theory, of course, as Stadia has yet to release to the public, and how it works out in the wild could be much different than what we saw during its stage presentation at GDC 2019. It’s no secret that Microsoft is also working on a game-streaming service for Xbox as well that the company hopes will help it become the “Netflix for games.” Details on this streaming service is expected to be revealed at E3 2019 in June, though it’s believed to offer similar features as the Google Stadia. Sony has already dipped its toe in the video game streaming market with PlayStation Now, which it will likely expand with the PS5. Whether or not PlayStation Now will be expanded to offer the kind of flexibility as Stadia or if Sony will start handling the processing on its end like Google is doing remains to be seen, but perhaps that will be what the generation after PS5 will look like. Analysts are also forgetting about Nintendo, which has been doing its own thing for years now instead of directly competing with Sony or Microsoft in a console power struggle. Nintendo’s consoles have consistently defied industry expectations, with the 3DS and Switch proving to be a highly successful handhelds despite analyst predictions that mobile phones would kill dedicated handheld gaming. So even if Microsoft and Sony decide to go with an all-streaming future, perhaps Nintendo will keep churning out traditional consoles to host its first-party exclusives. He’s parroting exactly what Pachter said before this gen, and the thinking that Don Mattrick used when coming up with the initial BS of the Xbox One that hampered that console out of the gate giving Sony a big advantage going in. It’s been said here numerous times - until high speed broadband is readily available everywhere, consoles aren’t going anywhere. Excluding a vast population in the world because they don’t have good internet is corporate suicide. Hell, Stadia could severely stumble out of the gate and set the streaming gaming movement back years if they’re plagued with lag and other issues on day one. I comptely agree. Servers today are already dieing during peak times with lag and being un able to handle the load of public banging on them during peak times. Now you want to throw in the entire game streamed. Your on drugs if you think its happening any time soon. The infrastructure cant handle it, high speed access in nowhere near readily available everywhere. If compianes are bitching about Netflix hogging bandwitdh now what do you think a 4k streamed game is going to do. The technology is there and I agree that is where we are going but its not tomorrow. Stadia isnt the first to try this game. I think cause its google its getting a lot more press. as long as the user has the Internet connection back it up. This is the other key point for me. What if I want to play games offline through choice or availability (i.e. travelling)? I can enjoyed SP or local co-op games just fine without internet at all, using my local platform. Competitive gaming won’t work with this until it is perfect. There is a ton on money in online tournaments. Madden, PUBG, Fortnite, etc. These games require split second button presses and in my mind even if the system is perfect there is still gonna be a delay. Trying to stream game information to your PC while trying to stream your game play back to twitch/mixer/youtube etc is also going to be an issue. Unless you have a killer fiber connection forget about it. Fiber is not even an option for me and doesn’t look like it is coming anytime soon. I personally believe there is too much money around competitive gaming and steaming for this type of thing to happen soon. The reports from people that have used Stadia currently say it isn’t great…yet. Hopefully the PC side stays the way it is cause if this is across the board and soon I may have to find a new hobby. Streaming isn’t going to kill console gaming IMO, it’s the short life cycle of them. The 360 was 10 years if I remember correctly, Xbox 1 was what? 3-4? Before the X came out, and now talking about the Xbox 2. Not having to keep dropping large amount of money every few years to keep current was a reason a lot of people went console, that and co-op on the couch that most games have removed. Xbox one, One s, One X is all the same life cycle of the Xbox One. IMO all the same. Just different specs for a variety of users. Agreed, even tho I really want an X, I still have an OG model and can play all the same games and interact with everyone I choose in the same manner without blockers. But the new models are better and the newer games take advantage of it. It’s an upgrade and just a reason why consoles will die. I will accept the point that gaming will change…someday it will be streaming, FTP and phone games and other “platforms” are an issue…and to @SoulTerror 's point investment and ROI will play in…if i spent $800 on 2 xboxes and peripherals its conservative…and if i get only 5 years of life compared to the up to 10 years of previous gens…it will make it harder to justify the next gen purchase…how many years will it last, 3? This gen of consoles had to do it because it was during the big move from 1080p to 4K. I think that is why we got upgraded models. Could you imagine the hate they would receive if we didn’t have 4k models? Now moving forward if the sales for those upgraded models did well I could see that happening again next gen and so on until there is no “console”. I can see a future where I only game on a PC. I feel like I’m getting a lot closer to that day as well, mainly because of the flexibility and mod customization you can accomplish with many genres I’m more interested in of late. Agreed, PC gaming provides much more flexibility. Plus I just like the controls better. But even if next gen consoles are the last and they have 1 or 2 revs, it would be 5-10 years before a complete industry change. Don’t ya think?